The BRV900 puts you behind the wheel of the first Nilfisk ride-on vacuum cleaner. This machine makes cleaning large areas such as exhibition centers and airports an easy job. Hard to reach areas can be serviced from the vehicle by using the detailing wand. 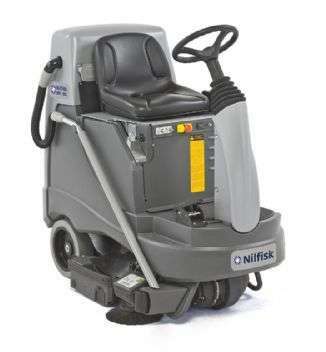 The Nilfisk BRV 900 can fit in standard elevators and through doorways. An optional on board 7.5 meter hose allows for cleaning of areas where the machine is unable to navigate.